The Blockchain Academy is an educational institution that enables individuals, entrepreneurs, developers, and organisations to learn about the innovative potential of bitcoin and blockchain technology. 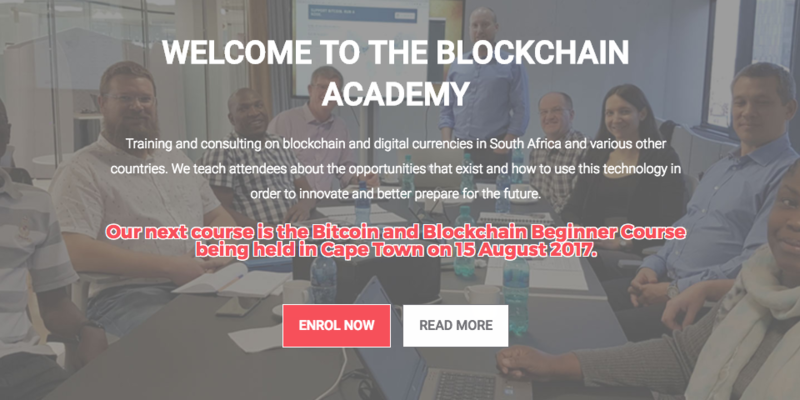 Founded in 2015 and based in Cape Town, the Blockchain Academy offers training courses on cryptocurrencies, the blockchain, and their future applications to attendees in South Africa and Zimbabwe. Despite growing global recognition of bitcoin and its underlying technology, the blockchain, there is still a lot of confusion about the nature of bitcoin and how it works. To address this uncertainty, the Blockchain Academy was formed to help people understand how the technology can be used to develop innovative systems and processes for businesses, as well as how to use it to create their own applications to handle various functions. The training courses are tailored to meet the needs of attendees from different professional backgrounds such as operations and treasury professionals, compliance and accounting, finance, technology, legal and market professionals. The sessions usually run for a full day and clients can choose the mode of training they prefer, either on-site training, classroom training or online training. Classroom sessions are provided at the Academy offices in Bandwidth Barn, in Woodstock, Cape Town, and AlphaCode Club in Sandton, Johannesburg. Clients can also enroll for online training on the Academy’s website, as well as participate in sessions via Google Hangout. Bitcoin and Blockchain Beginner course: This course targets those new to cryptocurrencies and blockchain technology, and covers the basics of bitcoin technology, its development and adoption worldwide. Blockchain Advanced course: The course strives to further explain concepts about bitcoin and the blockchain outlined in the initial course. Blockchain for Developers Course: The course aims to deepen understanding of the blockchain and help enable one to develop applications on it. Blockchain for Financial institutions Course: The course provides participants with insight on how organisations are leveraging blockchain technology and its possible uses. Ethereum Beginner Course: This course is intended for people who want to learn more about Ethereum and how it can be used to develop smart contract applications. The Bitcoin Academy has so far held its educational courses in South Africa, Zimbabwe, and India. In March 2017, the Blockchain Academy announced that it is partnering up with the Satoshi Centre to provide bitcoin education in Botswana through a course that was held in May. But the Blockchain Academy is not stopping there. “The Blockchain Academy […] is thrilled about all the global interest in cryptocurrencies and blockchain technology. Our recent partnership with Anglo African in Mauritius, and our training provided to the Central Bank of Swaziland are significant steps towards expanding into other countries. Our new online training programs are also an important part of offering our courses to as many people as possible. This is a very exciting space to be involved in and provides many opportunities for incumbents and individuals to experiment with this emerging and disruptive technology. The Blockchain Academy is not only preaching the benefits of bitcoin and blockchain technology but, more importantly, is educating individuals, startups as well as large institutions on how to implement this new technology to improve systems and operational processes. The Blockchain Academy is, therefore, providing a much-needed service that could potentially help African nations become future leaders in blockchain technology. eatBCH is a charitable cause launched with the aim to help feed individuals who live in Venezuela’s struggling economy through donations in Bitcoin Cash (BCH). After initially launching in Venezuela, eatBCH was also launched in South Sudan to bring the “peer-to-peer electronic cash-to-food system” to the central African nation. To find out more about the eatBCH initiative in South Sudan, BitcoinAfrica.io spoke to one of the organisation’s volunteers, Garang Deng. 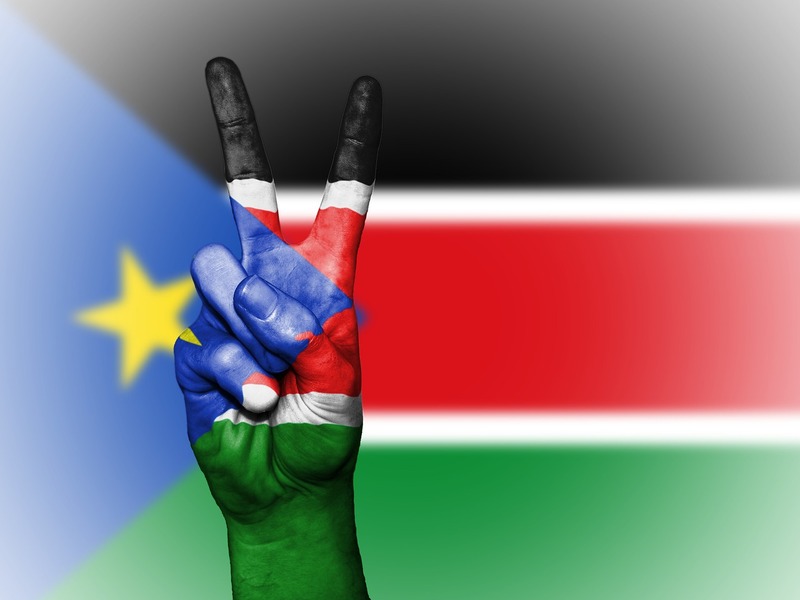 In a conversation over Telegram, Garang Deng told BitcoinAfrica.io that the eatBCH South Sudan team, which works on a volunteer basis, was inspired by the initiative’s impact in Venezuela after which a team member got in touch with eatBCH Venezuela to find out more how the charitable cause was run in the South American country. After several of today’s team members attended the Africa Blockchain Conference in Kampala in May 2018, the group decided to launch an eatBCH initiative in South Sudan. “We launched it there and got our first donation, and we bought some food items on our way back home,” Deng explained. Since there are no businesses or vendors that accept bitcoin cash and no local cryptocurrency exchanges in South Sudan, the eatBCH team uses Ugandan exchange Coinpesa to convert the BCH to mobile money, which it then uses to make its food purchases. “We started the charity part-time on weekends in the capital, Juba, in our neighbourhood and then expanded to some of the most affected areas by the conflict, such as the town of Yei or Bor. There, we were able to feed over 500 internally displaced people, mostly elderly and children. We were able to do that through our colleagues whom we trained after coming back from the blockchain conference,” Deng elaborated. Since May 2018, the eatBCH South Sudan initiative has managed to raise over $10,000 said Deng. Anyone that is interested in contributing to the charitable cause on a voluntary basis is welcome to do so. Currently, the broader team includes students from high schools and colleges who help to distribute the food to children and the elderly. Moreover, anyone wishing to contribute financially to the cause can donate to eatBCH’s Bitcoin Cash (BCH) wallet found on the initiative’s Twitter and website. Blockchain technology has evolved beyond being a solely decentralised database for digital currencies. Now, the blockchain is being used to transform and disrupt traditional infrastructures in Africa from banking and healthcare to real estate and even ride shares. BitcoinAfrica.io has compiled a list of 20 leading African blockchain influencers that are helping to make these changes happen. Mic Kimani is the Chairman of the Blockchain Association of Kenya and co-founder at Chamapesa, a company using blockchain technology to digitise social savings groups in Africa. An expert with over five years of experience in the industry, Michael is considered one of Africa’s foremost cryptocurrency and blockchain thought leaders. "The answer is to take inspiration from the world of cryptocurrencies and use the tokenized forms of financial assets on DLT. In this new model, the graph of settlement relationships starts to look identical to that of trade relationships." John Karanja is the founder of BitHub Africa, a blockchain accelerator located in Nairobi, Kenya. He also founded the blockchain startup Whive, a peer-to-peer protocol that extends Bitcoin incentivising sustainable energy solutions through trustless rewards. Sonya Kuhnel is a pioneer in the South African blockchain technology industry. She serves as Managing Director of the Blockchain Academy, co-founded the Blockchain Africa Conference, and BitSure that uses blockchain technology for retail payments. Tricia Martinez is the CEO and founder at Wala, a zero-fee financial services app for emerging markets. She is a behavioural economist who has made her career in driving innovative technology solutions to underserved people in Africa. Vinny Lingham is a serial entrepreneur and the CEO of CivicKey, a company that builds blockchain ID platforms. He was the ICT Personality of the Year in South Africa in 2008 and Shark Tank’s first bitcoin investor. Alakanani Itireleng is on a mission to educate Botswana’s citizens about bitcoin and blockchain technology. Itireleng founded the Gaborone-based Satoshicentre, a platform aimed at teaching blockchain technology in Botswana and Africa, and the farming blockchain platform Plaas. Gareth Grobler is a co-founder of the cryptocurrency exchange ICE³X and speaker on the topics of digital assets and blockchain technology. He has over 14 years of experience in IT infrastructure development. No such a thing as a private #Blockchain, that is called a database. #blockchain is not a decentralised database, that is called cloud computing…. Faith Obafemi is a digital lawyer advising on legal tech, digital assets, smart contracts, and everything else blockchain-related. She is passionate about the blockchain industry and regularly contributes as a writer in this field. Frank Deya is the COO of æternity Hub Africa and co-founded Nairobi-based blockchain startup BitSoko. He is also a regular speaker at blockchain events in Kenya. Launching in merchant stores across Kenya. Tawanda Kembo is a co-founder of Zimbabwean bitcoin exchange Golix. He has been involved with the blockchain technology since 2013 and has acted as a consultant to several blockchain companies in Africa. Verengai Mabika is a Senior Policy Advisor at the Global Public Policy team and a blockchain enthusiast. In his own words, he is a social innovation freak who helped to build Zimbabwean cryptocurrency exchange Golix. Dickson Nsofor is the CEO and co-founder of Korapay, a cross-border payment and remittance platform, that aims to connect Africa to the rest of the world. In practical terms, lets call Blockchain = Electricity and lets say Bitcoin = Light Bulb. Professor Nii Quaynor is a Ghanaian Internet pioneer. He is well known for pioneering Internet development and expansion throughout Africa for almost two decades, establishing some of the continent’s first Internet connections. He is also the Chairman of Ghana Dot Com and a proponent of cryptocurrencies and blockchain technology for Africa. on winning the Lifetime Achievement Award in Development of the #Internet @GheCommerceExpo awards night. Kwame Rugunda is the Chairman of the Blockchain Association of Uganda. He is also the CEO of CryptoSavannah, which offers solutions, advice and training in blockchain technology, and organised the Africa Blockchain Conference. Riccardo Spagni is the founder of the privacy-centric digital currency Monero. He acts as the lead of the Monero Dev team and is also involved in several projects and startups including South Africa-based Tari. Farzam Ehsani is a Co-Founder and CEO at VALR, a new South African digital asset exchange. He also helped to establish the Foundery, RMB’s fintech unit, where he is currently leading Rand Merchant Bank’s blockchain initiative. 3/ If Bitcoin is a pyramid scheme, then by the same reasoning, one must certainly classify gold as a pyramid scheme too. But it’s not. And the SARB knows that well enough to own R63 billion of the yellow metal. G-J van Rooyen is the CEO of Custos Tech, a company using blockchain technology with forensic watermarking to impact copyright protection. Devon Krantz is a co-founder and managing director of Linum Labs. Linum Labs provides blockchain training, consulting, smart contract auditing and software development solutions globally. Lorien Gamaroff is the CEO of South African cryptocurrency wallet startup Centbee. He is a regular speaker at blockchain conferences and a proponent of the recently forked Bitcoin Cash offshoot Bitcoin Satoshi Vision (BSV). Elisha Owusu Akyaw is Africa’s youngest blockchain influencer, marketer and journalist. The 17-year-old Ghanaian founded BlockXAfrica, a blockchain marketing company, and the cryptocurrency news site CoinNewsLive.com. Is KeniCoin Kenya’s First Homegrown Cryptocurrency Scam? KeniCoin is a Kenyan cryptocurrency that has been in the spotlight recently over allegations of potentially being a scam. BitcoinAfrica.io investigated KeniCoin to determine whether it is a legitimate cryptocurrency or a fraudulent operation. In this article, you will discover our findings. KeniCoin claims to be a multi-utility cryptocurrency platform that is fueled by KeniCoin (KNC) tokens. According to the KeniCoin website, the cryptocurrency is backed by real businesses, which is supposed to make it a reliable and predictable payment option for vendors. The platform claims to offer free and fast peer-to-peer online transactions. Moreover, KeniCoin investors will allegedly receive a high return on investment (ROI) on KNC tokens due to their limited supply and presence of a strong merchant network. Consumers, on the other hand, will be able to enjoy a 40 percent discount whenever they transact using KeniCoin. KeniCoin is marketed as an ERC-20 token based on the Ethereum blockchain. To purchase the cryptocurrency you have to register on the KeniCoin site and provide your name, a username, email address, and password. Once your account has been verified you can proceed to log in. To get started, you have to fund your account using bitcoin (BTC) or fiat currency via mobile money. Once you deposit money in your KeniCoin account, you will receive the equivalent amount of KNC in your in-platform wallet. However, during our analysis, we noticed the BTC wallet option appeared to be no longer working. It is unclear whether this is a technical problem or a shift to a fiat-only operation. If you are looking to convert your KeniCoins to another cryptoasset, there are instructions on the site directing you to the KeniCoin Exchange. Information on the platform states users can trade KeniCoins (KNC) for bitcoin (BTC) or ether (ETH). The exchange asserts that you can trade your KNC for fiat and withdraw your earnings via a direct bank transfer. Moreover, should you decide to lock away 50 or more KeniCoins in the platform, you are entitled to ten percent interest every month. KeniCoin launched an ICO in July 2018. The token sale was marketed aggressively on local radio and through KeniCoin agents. According to the site, ten million KNC tokens were provided for the ICO and retailed at KES 100 (worth around $1.00). The project road map outlines that 20 percent of the funds raised will go to the founders with the bulk of the remainder being used to develop various platforms accepting KNC payments. The KeniCoin tokens were to be traded on the KeniCoin Exchange, which was launched soon thereafter. “The Authority is currently investigating the operations of Wiseman Talent Ventures. We have noted discrepancies in the information provided on the firm’s website www.kenicoin.com and the information given to the Authority during interviews of Wiseman Talent Ventures leadership in relation to the total number of Kenicoin sold and the total funds raised,” Muthaura added. Our efforts to establish the team behind KeniCoin also proved unsuccessful. According to the KeniCoin whitepaper, the founder of the cryptocurrency is Haron Muthomi Kiriba who is sometimes referred to as Haron Wiseman. We did a little digging to find out more about Wiseman. What we managed to uncover was a Twitter account under the name Haron Wiseman, which described him as a transformational speaker and founder of Wiseman Talent Ventures. Wiseman Talent Ventures is mentioned in the CMA cautionary statement as the company behind KeniCoin. An online search for Wiseman Talent Ventures was only able to produce an office address. Also, Haron Kiriba’s Twitter account appears to have been inactive for a while. His LinkedIn profile portrays him as the CEO of a property company. Nothing we uncovered pointed to any prior involvement in the cryptocurrency space or any other venture for that matter. The KeniCoin whitepaper states that the cryptocurrency is supposedly developed by a number of international blockchain and AI experts. However, their names are not mentioned and their identities – if they ever actually existed – remain unknown which is standard practice in fraudulent cryptocurrency-based ventures. Providing little to no public information about the company’s ownership structure does not help the company in its attempts to be perceived as a legitimate venture. A critical examination of the information provided on the KeniCoin site and whitepaper reveals a number of inconsistencies and falsehoods. For instance, the KeniCoin whitepaper claims the project is backed by a number of companies yet we can only prove one, Wiseman Talent Ventures, and even its existence is in doubt. Also, the amount of funds raised during the concluded KeniCoin ICO seems unclear. The site claims $250,000 worth of KNC tokens were sold during its token sale. However, when it comes to distribution of ICO funds, the amount displayed is $5.3 million. In addition, the company claims KNC is the first local digital currency to be released in the market with a network of up to 10,000 merchants. This is an outright falsehood with research failing to turn up a single business associated with KeniCoin. You will notice most of the statements concerning stability and increasing value of KNC tokens, are tied to the assurance of many businesses in the ecosystem. Perhaps, the obvious flaw with KNC is the de facto promise of returns for early adopters. The whitepaper states KNC holders can expect the value of the token to increase by 3,000 percent in twelve months after the ICO. At the time of writing this article, the price of KeniCoin published on the company’s website was $3.45. Currently, there is an update on KeniCoin Exchange teasing users about the launch of a new utility, that will result in the price of KNC rising to Ksh. 10,000 (worth around $100). Strangely, KeniCoin appears immune to market volatility and according to numbers presented on the platform, has so far managed to retain an upward trajectory. It stands to reason any investment exhibiting a continued uptrend in price over a long period could indicate price manipulation or fraud. BitcoinAfrica.io tried to contact KeniCoin to hear the company views on the issues raised by the Kenyan financial regulator. However, this proved difficult as our attempts to engage the KeniCoin team proved unsuccessful. Initially, we tried to contact them using the phone numbers provided on its website. We managed to get through but were twice rebuffed with the response being “ongoing consultations with management.” At the time of writing this article, no feedback has been forthcoming from KeniCoin. Interestingly, the KeniCoin staff member who we were able to reach on the phone expressed distrust for news agencies saying, “you social media guys are tarnishing our name.” The company does not seem to want to talk to the media. BitcoinAfrica.io also attempted to reach out to the Nairobi-based company via social media but our attempts to get in contact with the company over Twitter, LinkedIn and Email were futile. The company’s email address does not work and the company’s Twitter account has been suspended. 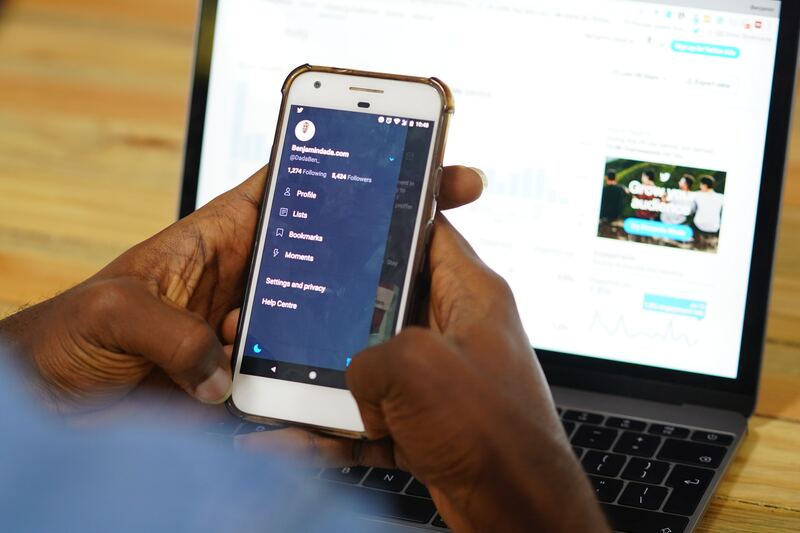 Leading figures of the Kenyan cryptocurrency community responded on social media to KeniCoin advertisement on Kameme FM. Micheal Kimani, Chairman of the Kenya Blockchain Association, tweeted:. And they were not the only Kenyans to voice their concerns on social media. An ample amount of Twitter users highlighted the project’s unrealistic earnings potential, which makes the company look like a fraudulent operation. Why is Kenicoin being allowed to do such massive marketing?? Unless I missed something on their whitepaper this is a massive scam. Goodness. Who will be our brother's keeper? Any gullible person who falls for that con gospel from Kenicoin is setting up themselves for endless rounds of shafting with no lube. While there may be people who believe that KeniCoin is a real investment opportunity, it would be hard to ignore the evidence that suggests the opposite. 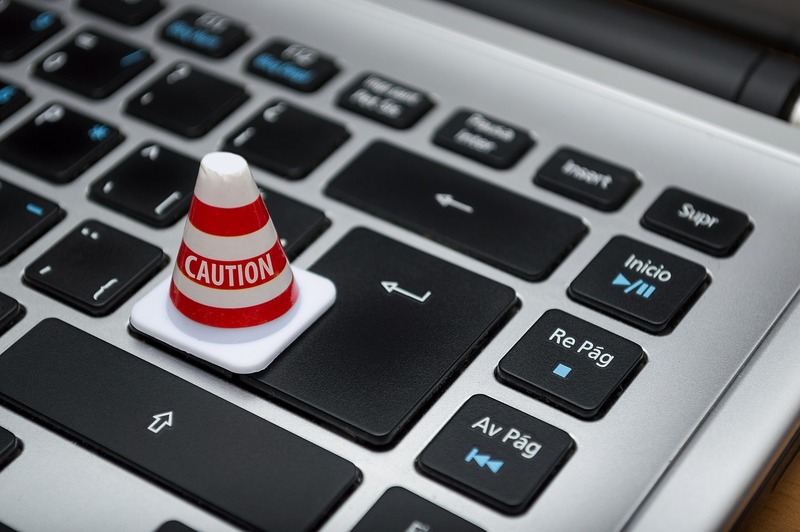 KeniCoin has several of the same characteristics as crypto scams that have previously penetrated the African market. KeniCoin may not be different from a typical MLM operation used by pyramid schemes like OneCoin and MMM, which succeeded in defrauding hundreds of thousands of Africans. Conversely, one may argue that KeniCoin closely resembles a pump and dump scheme where the owners are making money by pumping up the value of KNC and then selling it for a profit on the open market. Once they have made enough profits, they exit, and users are left holding worthless coins. Moreover, since price discovery for KNC tokens only occurs on the company’s own platform, it is impossible to say how much one KeniCoin is really worth. Given that KeniCoin makes claims such as: “KeniCoin platform allows you to grow your wealth up to x12 every year,” it is difficult to see how this could possibly be a legitimate cryptocurrency investment. Investors are always advised to conduct thorough research, consult experts, and use common sense before investing in any digital asset venture. “Investments” like KeniCoin provide a good example of the type of cryptocurrency investment “opportunity” to avoid. While no one can claim that KeniCoin is a scam until it has been declared a fraudulent operation by a court of law, the mountain of evidence against the company would suggest that it probably is.